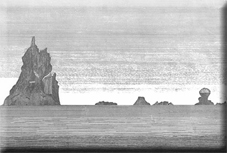 Lord Howe was first spotted by HMS Supply as she sailed between Sydney and Norfolk Island. She set some people ashore on the return voyage, claimed it for Britain and named it after the First Lord of the Admiralty. 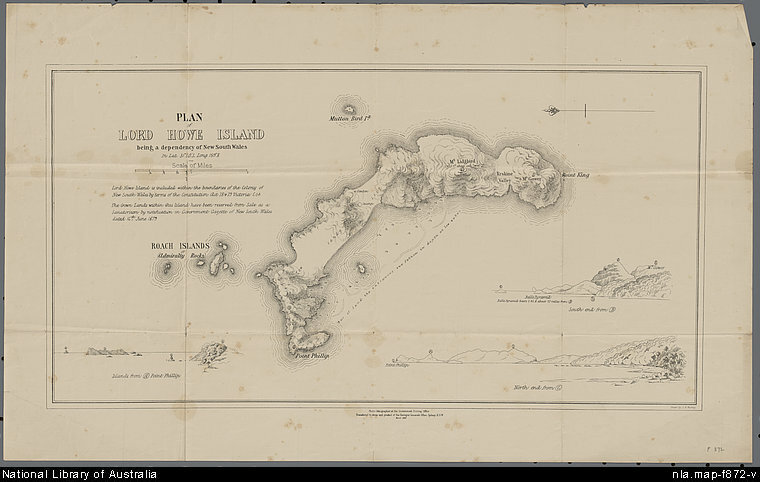 Over time, the island would become something of a staging point between Sydney, Norfolk Island and New Zealand. It was also a convenient island for whalers to resupply on their long voyages. There were plenty of tame seabirds who could be caught with ease. There was also plenty of fresh water. In 1834 the first settlers arrived - three men with their Maori wives, and two boys. They lived by trading fresh vegetables, meat and fish with the passing ships. Not surprisingly, many of the following settlers were seafaring men. 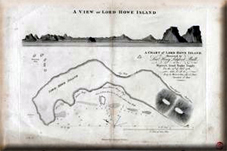 One of the first reports on the Island, made by Dr John Foulis in 1851 described a community of about 16 persons residing on the Island, some of them having their wives and families. With the decline in Whaling, the settlers shifted their primary industry to the growing of palm seeds. The island officially joined New South Wales in 1855, but its remoteness meant that it's local government would long have freedom to do pretty much what it wanted. 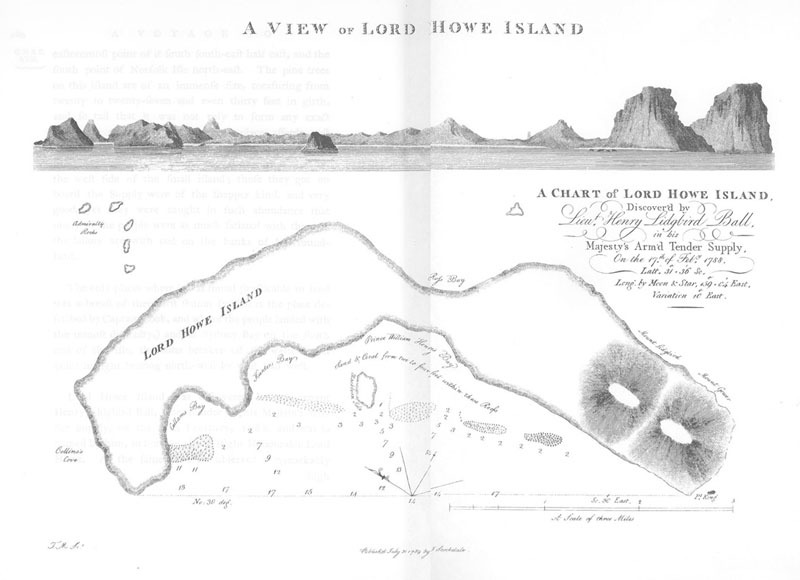 Includes an account of the discovery of Lord Howe Island.